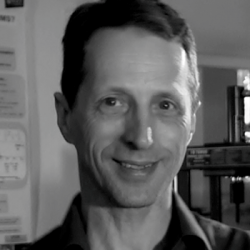 Vladimir has done his post-doc research at UMIST (UK), Northwestern University (US) & N.D.Zelinsky Institute of Organic Chemistry (USSR) and is now a lecturer at Keele University since his appointment in 1998. Dr Zholobenko is an expert in catalysts by zeolites & nanostructured materials & spectroscopic methods of their characterisation. He is a member of the Research Institute for the Environment, Physical Sciences & Applied Mathematics (EPSAM). Dr Zholobenko has been heavily involved with this project since the beginning and will be instrumental in the development of the pre-production prototype.